If you are interested in healthy eating, probably you know one thing for sure- that you should eat breakfast! Or at least that’s what you thought! Lately you could see a lot of people, that are really fit, lean and strong. People who dare to eat in a way that contradicts the common knowledge about healthy eating! They not only dare to skip breakfast, they actually don’t eat for an extended period of time! Now you are thinking that the risk for your health, is not worth these experiments! But the more interesting in this case is that besides the positive results with the body composition, these people state a remarkable improvement in their health! Periodically fasting for 24 hours. This is a method, created by Brad Pilon. For example every Sunday you will fast for 24 hours. Then the next day you will eat again. You could do this every week or once every two weeks. 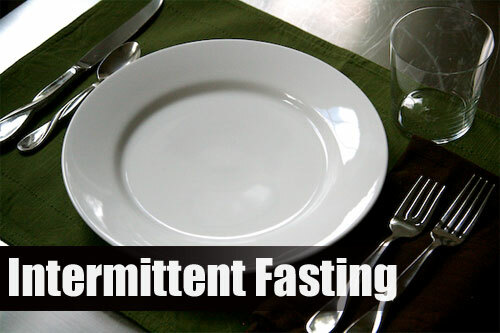 A lot of people start IF with this method- periodically fasting for 24 hours. The other method is in my opinion for people who decided to make IF a lifestyle! The credit here goes to Martin Berkhan and he really has amazing results, with his own body and with a bunch of his followers. The essence of this fasting method is that on a daily basis you will fast between 16-20 hours and you will eat for the rest 4-8 hours. You can eat 2-3 times during the 4-6 hour feeding period! And the third method is the so called Warrior diet, created by Ori Hofmekler. The essence of this method is that on a daily basis you will fast for 20 hours, and then you will have one main, solid meal at night. During the fasting period, you could eat some fruits and veggies, and every know and then you could have a portion of proteins in the form of a protein shake, eggs and etc. But the portions should be kept small! When you eat your main meal at night, Ori has some suggestions about the order of foods you eat- first veggies, then meat and etc. But for more information visit his website! Intermittent Fasting is probably, suitable for those of you, who are constantly making excuses that “you don’t have time”. Well, if you are the kind of person who “doesn’t have time”,now you won’t need to make so much time to eat. 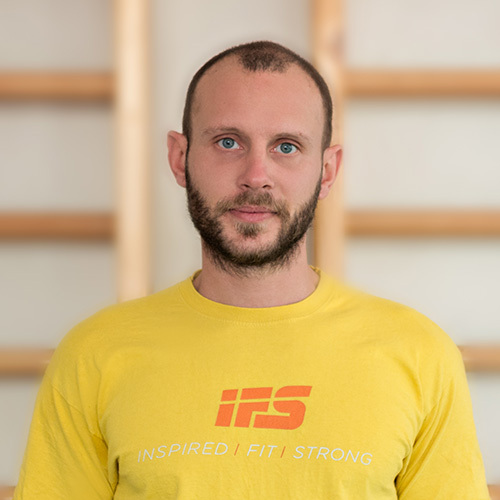 Probably Martin Berkhan’s or Ori’s method would suit you the best for your goals and way of living! 1.The quality of the food matters- don’t forget that before everything else, our main goal is a healthier lifestyle. Just because you are gonna be fasting for 16-24 hours, that is not a green light to overeat with pizza, fries and cakes, during the feeding window. After all this is the time, when you should give your body what it needs in order to function properly. You wouldn’t want to feed your body with junk, and then expect it to work, would you? There are two main mistakes that people make. One of them is that after a long fast, a lot of people overdo with the quantity of food and eat way too much! Don’t do it! Divide your meals in 2-3 portions, which will be in adequate quantities, in order for you to achieve your goals, feel satiety, but not bloated like you just went to a Christmas party! The other mistake, which women often do is not eating enough. Yes, they go to the other extreme. Even though they are aware that they will have to fast for 16 hours, they are still afraid to eat until they reach satiety, so they eat really scarce portions. People who make this mistake, usually don’t stick with IF too long, just because they are constantly feeling hungry! 3. 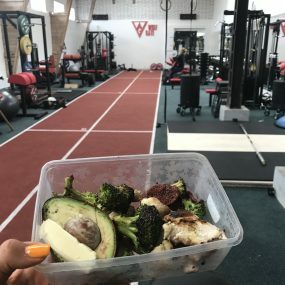 This is not mandatory, but most people have great results if they plan their fasting in a way that you will break the fasting period with a workout, after which you will have your first meal! Personally, as you already know I am not the kind of person who could do IF, but I’ve tried it and I definitely felt good if I had a workout with weights at the end of my fast, and then eat my first meal! – Insulin sensitivity improves. This means that when you eat your pancreas needs to works less, but still does the same amount of work! -your pancreas is resting during the fasting period. This is a big plus for those having diabetes! -Growth Hormone levels rise, during the fasting. As you know this hormone helps you to build muscle and repair your body. -you give your digestive tract a break. If you eat as usual, most of the time your digestive tract and other organs are constantly working, digesting the food you ate. When you use the IF methods, you give a break to this organs and thus not all the energy goes for digestion. Then, your immune system activates and the energy that is not used, could be redirected for recovery processes in your body! As with every other nutrition plan, there are as many followers, as critiques. That is why I will give you some of the negative opinions about fasting. Most of the negative opinions are for women and IF and how the fasting periods reflect on their health. Here you could read a profound analysis of women and IF. -sleeplessness and anxiety. But this does not happen with everybody. 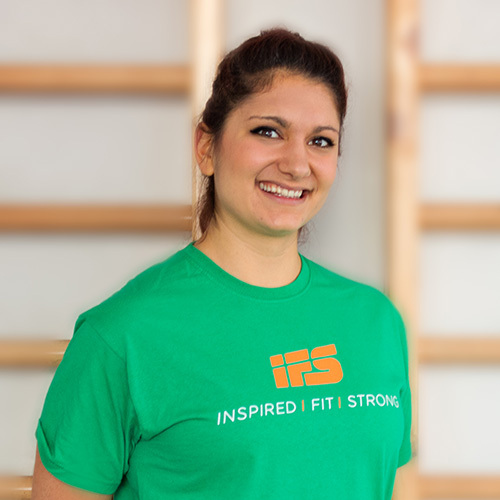 There are a bunch of women who have amazing improvements in their health status, thanks to IF. All of us are different, so until you try, you couldn’t know if IF will have a positive or a negative influence on your health! The loss of sleep, has to do with hypocretin neurons, which lead to a feeling of wakefulness and energy and they interfere with your sleep, when the body sends signals for “starvation” mode. -A lot of people say that fasting helps them get rid of the constant thoughts about food, but there are a bunch of people, who claim the contrary- that IF makes them focus more on food, because during the fasting period they are constantly thinking about their next meal. In my opinion this is due to the fact, that they don’t eat enough during the feeding periods or that they did not get rid of the emotional meaning, they give to food! -the feeling of being bloated after a solid meal. Some people feel bad, if they eat bigger portions and fasting, definitely doesn’t work for them! -some people start eating less veggies, just because they need to eat more calorie dense foods. If they eat more salads, they feel like they wouldn’t have place for the calorie dense food, so they focus first on eating more meat, eggs and etc., thus limiting the veggies! This is all I have to say for today, when it comes to Intermittent Fasting. 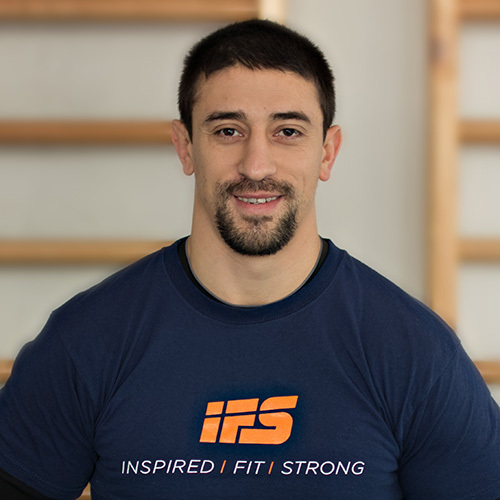 In the following days I will share with you the opinion of some great athletes, who are avid followers of the IF- their experience, the positives and the negatives they noticed, and some advices they will give you, on how to successfully follow IF. Besides that I will write another post with some advices on how to make IF easier and how to adapt to it faster! And in conclusion I will tell you, that I am not forcing you to follow IF. Personally I don’t like it for me and I feel better eating 3-4 times a day, without fixed periods of fasting and feeding. But it is a proven fact that there are a lot of people, who notice positive results with fasting, it is a fact that it does work and helps you achieve your goals and improve your health. That’s why I decided to write a post about those of you, who consider IF to be suitable or their goals and way of life! Here are some additional great reads. There are some articles that have positive opinions about IF, and some that have a negative opinion. So I am giving you enough reads, that you could read, and then make your own, informed choice! Have you tried IF? What is your opinion and how far did you go with your experiment? P.S. If you liked this post, please share it with your friends. I’d greatly appreciate it! January Top 10: 10 Things Worth Reading! Why Fats from Plants Are Not As Healthy As You Believe Them to Be?